Here you can find our NMR spectra database for spectra obtained by NMReady-60 benchtop NMR spectrometers. Example NMReady-60 spectra can be viewed by clicking on the nucleus you are interested in. 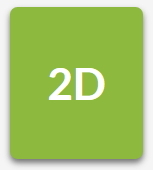 From NMR spectra of organic compounds to inorganic compounds, we have a variety of 1D and 2D spectra models to view. The NMR spectra shown here are updated regularly, so please check back often. If you have any questions about our NMR spectra database or how to read NMR spectra, please don't hesitate to inquire.